Thanks for visiting Meandering Moments. My name is Karmen and I love traveling. I use phototography to capture my experiences as I meander around the world. I specailize with fine art photography, portraiture photography & stock photography. 50% of the profits made through the sales of photography by Meandering Moments will be donated to local animal shelters and/or international animal sanctuaires. Visit Meandering Moment's Fine Art Gallery to view photographys that are available in print. If you see a photograph(s) you like, just simple click on the link below the photograph and you'll be redirected to Fine Art America, where you can personalize your printing/decorating needs. Also, you have the option to download the photograph and you can fullfill your printing needs with your favorite print vendor. Prior to the day of the photo session, we will discuss details of what to expect on the day of the session and plan certain details about the photoshoot; such as wardrobe, locations & props. You'll be guided through the entire process, so you'll know what to expect! On the day of the photo session, you won't have to be concerned about posing. All you have to do is relax, have fun and let me guide you in how to look great in photos. 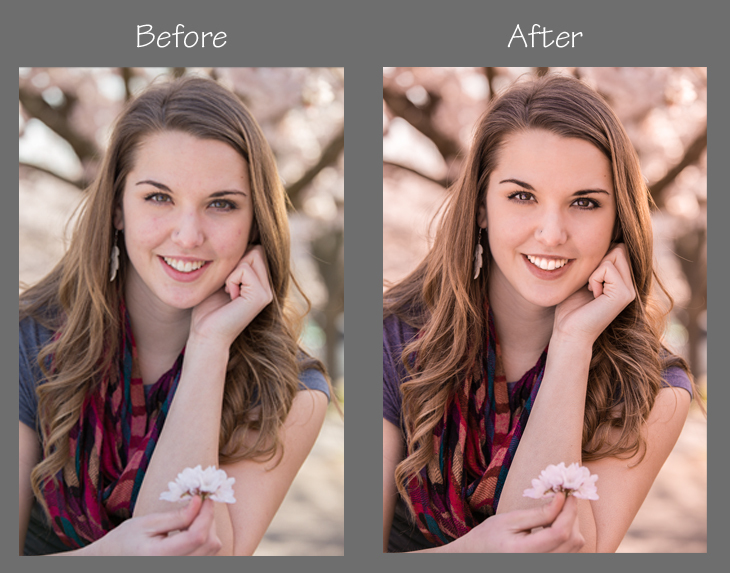 Edit & Retouch... After the session, your photos will be edited & re-touched to professional standards by me! Once the final images are finished, you'll be able to view the photos in the privacy of your home & download the images you love! You pay for only the images you download (price depends on image size) and that's it! Don't like any, than don't pay anything!